Recently I entered the Ruskin Prize, run by the Campaign for Drawing, with the theme being environments, both rural and urban. 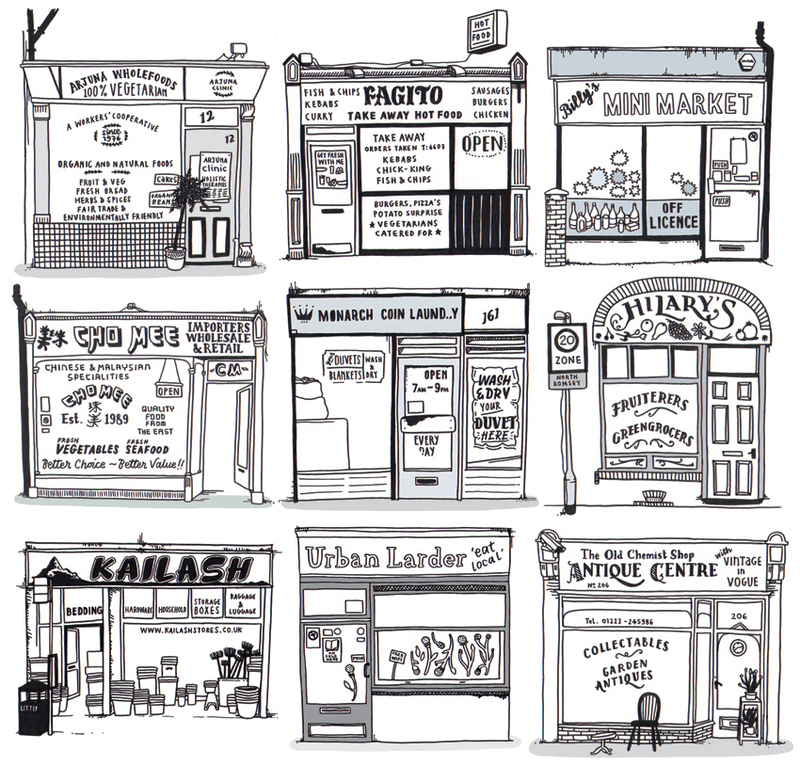 For those of you in the Cambridge area these will probably be familiar to you – a tiny collection of Mill Road’s half-wanky, half-working class businesses. Hugo, darling, don’t touch the pomegranate and quinoa sponge, mummy hasn’t bought it yet.